If a vigilante group has vision and mission statements, are they really vigilantes? Men who have felt (literally) the wrath of Sampat Pal Devi and her Gulabi Gang would say yes. 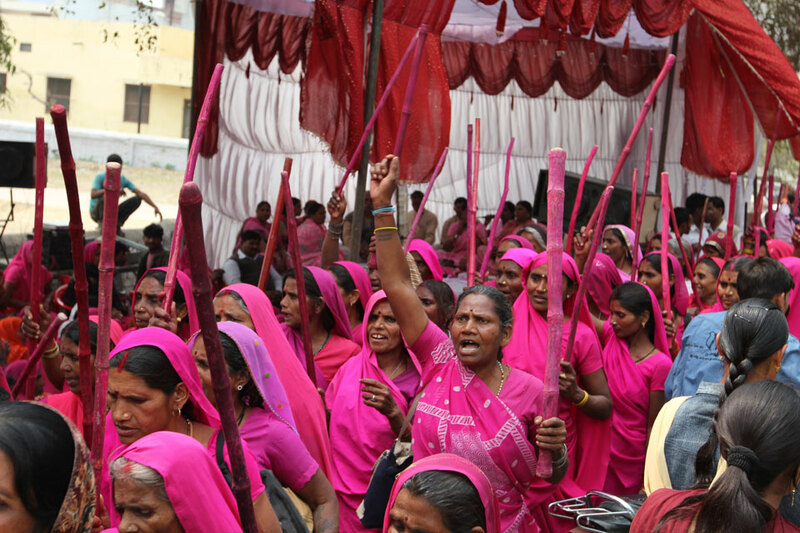 The Gulabi, or Pink Gang - so named because the members wear pink saris - was founded in 2006 the Banda District of Uttar Pradesh in Northern India. According to their website, "this region is one of the poorest districts in the country and is marked by a deeply patriarchal culture, rigid caste divisions, female illiteracy, domestic violence, child labour, child marriages and dowry demands." "The Gulabi Gang was initially intended to punish oppressive husbands, fathers and brothers, and combat domestic violence and desertion. The members of the gang would accost male offenders and prevail upon them to see reason. The more serious offenders were publicly shamed when they refused to listen or relent. Sometimes the women resorted to their lathis, if the men resorted to use of force." The big stick smack downs of abusive husbands and corrupt officials are a last resort but knowing they are a very real possibility makes people listen to what Sampat Pal has to say. Since it began, tens of thousands of women have joined the gang, whose mission is to "protect the powerless from abuse and fight corruption to ensure basic rights of the poor in rural areas and discourage traditions like child-marriages." The group has started a school to educated the girls and boys in the district and they've bought sewing machines. The idea being, if young girls can earn income for the family through sewing projects, they family is less likely to marry them off at an early age for dowry money. You can watch a short video about the group here or check their video page to see more in-depth coverage. As always, you can like them on Facebook if you like them. 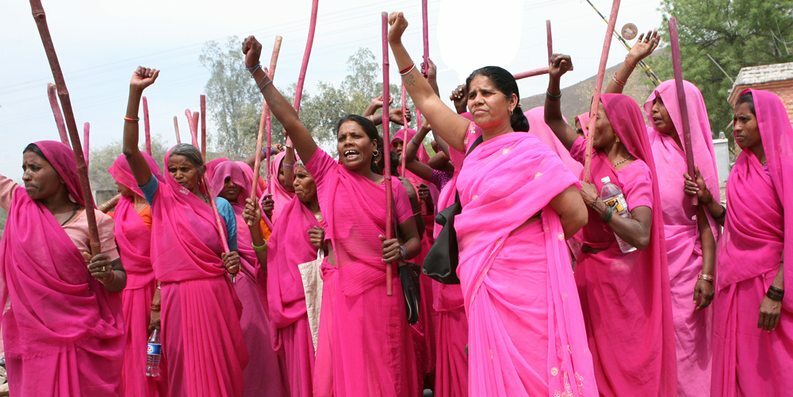 Are the women of the Gulabi Gang justified in what they're doing or do you agree with the quote most often attributed to Gandhi, "An eye for an eye will make the whole world blind"? That is a move in the right direction. Some of the men (in India) can get the message only by force. Wish there were more Gulabi Bais all over the country. Agreed. It feels like a rather extreme solution but it sounds like people are facing some extreme situations.